The brand, composed by the Island Council, the Port Authority, the Free Zone of Tenerife, The Chamber of Commerce and the Canary Islands Special Zone (ZEC), seeks to promote investments in the island. Canary Islands.- The tool “Why Tenerife?” was created in 2012 to attract investors to the island. 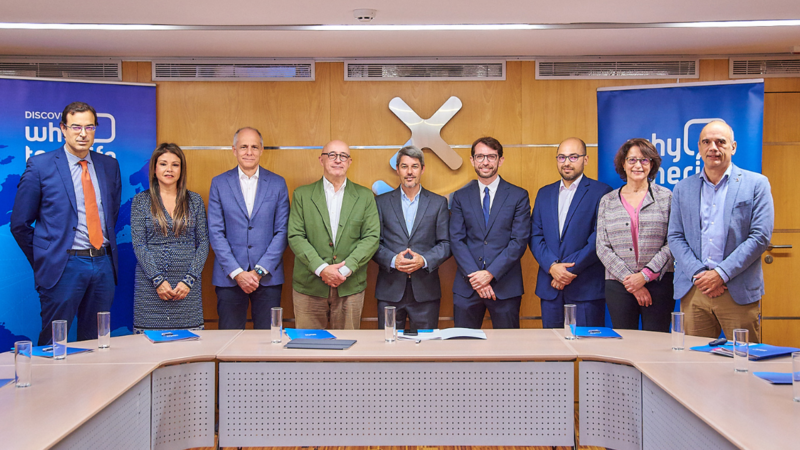 It will now grow with the integration of two new entities: the Canarian Society of Economic Development SA (Proexca) and The Spanish Institute for Foreign Trade (ICEX), once they have both completed the ongoing adhesion process and the corresponding agreement is signed. The two bodies have showed their commitment by signing a declaration of intentions with the associates who are already part of the project: the Island Council of Tenerife (Cabildo), through the Tourist Board, the Port Authority, the Free Zone of Tenerife, the Chamber of Commerce, the Department for Industry, Navigation and Services of Santa Cruz de Tenerife and the Consortium for the ZEC. The expression of intentions was agreed upon on 12 March during a meeting held in the headquarters of the Tourist Board of Tenerife, with the presence of the vice-president of the Island Government and the Tourism Minister, Alberto Bernabé; the president of the Chamber of Commerce, Santiago Sesé; the president of the Port Authority, Pedro Suárez, the president of the ZEC, Antonio Olivera, and the representative of the Free Zone of Tenerife, Moisés Romero. The document lists the objectives included in the future agreement. This agreement is expected to be signed in the next months, with all seven members of Why Tenerife?. Among the objectives pursued, the following particularly stand out: the promotion of Tenerife as an attractive and differential destination for foreign investment, the active maintenance of existing investments and the promotion of their growth through continuity with the investors. Another key objective to work towards is the improvement of Tenerife’s investment climate developing all the indicators valued by investors, from the securing of permits of all kinds to the availability of infrastructures and grounds, access to advanced services, shortening of deadlines, etc. and grounds, access to advanced services, shortening of deadlines, etc. During the session, the different strategic approaches Why Tenerife? is working on in 2019 were also listed. Efforts will be focused on the animation sector, the Information and Communications Technology (ICT) sector, startups and digital nomads, as well as other sectors of strategic interest such as logistics and Oil & Gas. All this will be accompanied by intense digital marketing activities, the improvement of communication through social networks and the use of Big Data to spread Why Tenerife?’s base of contacts. During the event, Why Tenerife?’s new webpage was presented as well as a new Business Guide with useful advice for companies who wish to invest in the island. These two tools, which will be available soon on whytenerife.com, will provide significant technical content through commercial and attractive messages providing a different approach from the messages of traditional investment attraction agencies.